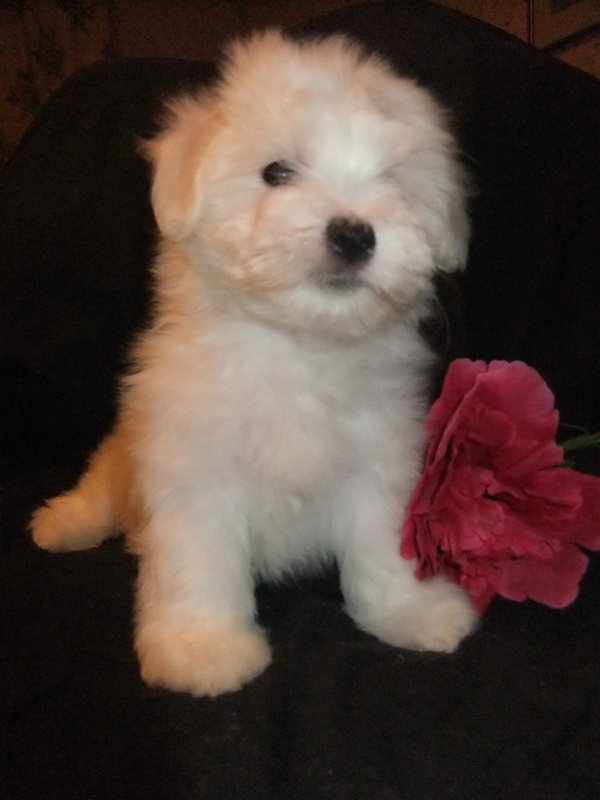 The Coton de tulear is a small (10-12"), mainly white, companion breed. Originally from the island of Madagascar, legend has it that in the 15th century little white dogs escaped from a shipwreck, bred with the local terriers & populated the island. Ownership of the coton was restricted to the king & noble families therefore the breed became known as the royal dog of Madagascar. The breed was recognised by the FCI(Federation Cynologique Internationale) in 1970 & is now becoming a very popular breed on the continent. Although still a comparatively rare breed in the UK it is slowly becoming popular as a family pet & companion for couples & single people as it is an intelligent little dog, has a happy, affectionate temperament & becomes very attached to its owner. The Coton needs company & can suffer from seperation anxiety so they are not recommended for people who work full time. It is a breed, which is a good choice for allergy sufferers due to its non-shedding coat & lack of doggy dander. Vocal, Lively, Not always white! Some Cotons can be quite vocal, some can be wary of strangers & all appear to keep their lively personaliy into old age. Not all Coton puppies are born white, some are born with a degree of colour, this colour does tend to fade to white or cream. However, some puppies will keep there colour throughout their lives. Although the coat does not grow to the ground this is a high maintenance breed, the unique, slightly wavy, cotton-like hair needs regular attention. 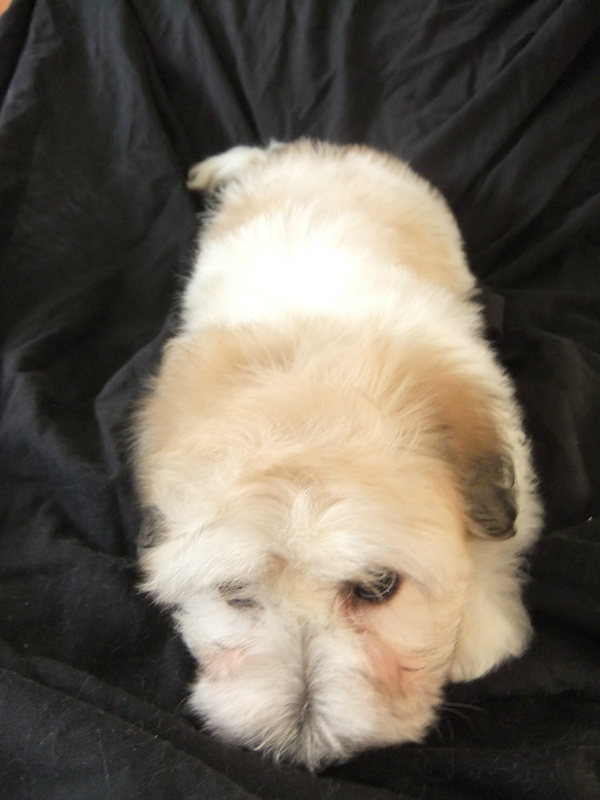 Owners of pet Cotons tend to keep them in an attractive pet trim so a good groomer is a must. 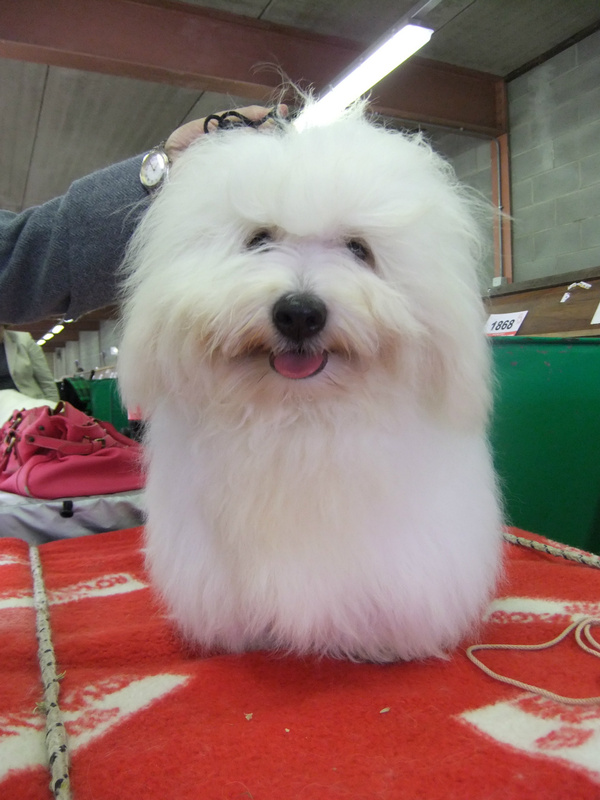 The Coton de Tulear is a natural, unexaggerated breed & relatively healthy, although as with any breed, health issues can & do crop up occasionally. It's early days but research on Coton health is being done & tests are becoming available to breeders.